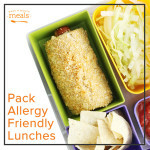 Yesterday we shared our best tips and resources for waging The Lunch Box Battle, or really just any meal time battle with your children. You might not be looking to cook a whole menu at this moment. Maybe you are just needing a quick fix for today’s lunch. Or perhaps you want to create a custom menu for a picky eater using Swappable and need some extra ideas. 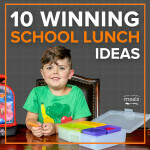 We’ll even throw in a few ideas for your lunch, Mom and Dad! 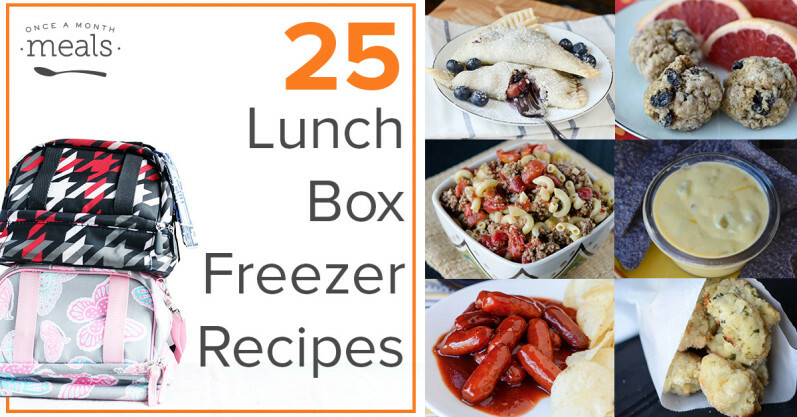 No matter what your needs, these lunch box freezer recipes will have you packed and out the door in no time. Whether your child needs breakfast on the go, a morning snack or a healthy treat – these all work! 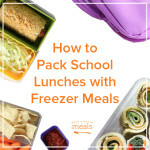 Use a thermos to keep these hot or cold until lunch time. 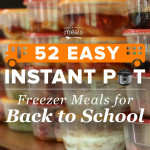 For older kids with access to a microwave or families who homeschool. (Or warm at the start of the day and place in thermos for later eating). 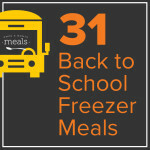 Whether you pack a lunch box too or you eat at home, these meals will keep you satisfied until dinner time. With membership, you have access to all our recipes (including these!) and ALL our menus! You can customize one of our already curated menus, or create your own from scratch using our blank menu, My Freezer Meal Plan!